The ‘Hounds have points in 29 straight, with just a single shootout loss to go along with 28 victories. They are approaching the streak the London Knights enjoyed during the 2004-05 season that saw them pick up points in 31 straight contests. Morgan Frost has opened up a commanding lead in the OHL scoring race with 71 points and Taylor Raddysh has 4 goals and 9 points in his first 3 games with the club. Equipped with the oldest D-core in the OHL the Bulldogs have allowed 123 goals, 2nd fewest in the league. They also added former OHL Champions Robert Thomas and Nicolas Mattinen, to go along with previous additions Riley Stillman, Ryan Moore and Nicholas Caamano. Good recipe for success. I really like the pieces Sarnia added at the deadline, as they made several improvements. Cam Dineen can kickstart the offence from the back end, and Michael Pezzetta and Jonathan And add to an already deep forward group. All three scored in their Sting debuts. Kingston added in a big way at the deadline. After two straight second round appearances the Fronts are hoping this is the group to get them over the hump. This from a franchise that went 17 straight seasons without making it past the first round. The top line of Luchuk, Sokolov and Svechnikov may be the best in the OHL (other that Frost, Katchouk and Raddysh up in the Soo). Luchuk hasn’t been as productive in Barrie as he was in Windsor, with 6 goals and 12 points in his first dozen games. Still, he sits second in OHL scoring. Logan Brown still hasn’t played a game with the Rangers after suffering an injury at the WJC, but new acquisitions Mario Culina, Givani Smith, Michael Vukojevic and Austin McEneny have all made their debuts. It’ll be interesting if the moves are enough for Kitchener to compete with the Soo and Sarnia. The IceDogs have quietly been one of the top teams in the Eastern Conference, and even the OHL. The addition of Sam Miletic gives them that offensive punch that was lacking at times, he has 4 goals and 7 points in his first 3 games as an IceDog. Saginaw is chasing down London and Windsor in the West standings. They’ve only made it out of the first round three times in 15 seasons, and will want to climb into the fourth or fifth position to avoid a first round matchup with Sarnia. Although they’ve had success against the Sting this season, I’m sure they’d appreciate a different first round opponent. With London and Windsor both selling some big pieces, I can definitely see the Spirit climbing up to fourth. The Generals are back in the top ten, winning seven of their last ten games. The teams looks to be sitting in a good spot going into next season, but that’s also what I thought last year. Still, their recent stretch of games have been their best so far this season. 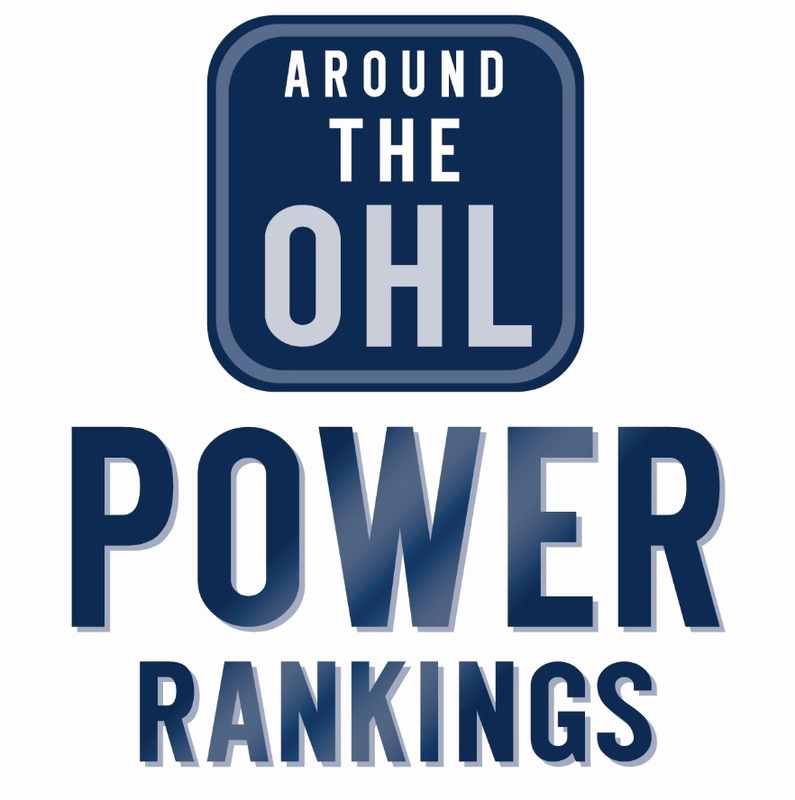 The Storm sit seventh in the West but have a comfortable seven point cushion over eighth place Owen Sound. Like Saginaw, I could see them climb ahead of Windsor. Could there be another rookie of the year in Guelph? Cam Hillis leads all rookies with 39 points. They’d be the first teammates to win the award in back-to-back seasons since Patrick O’Sullivan and Rob Schremp won it in 2001-02 and 2002-03. It’s only happened one other time, John Goodwin and a guy by the name of Wayne Gretzky won it with Salt Ste. Marie in the late 1970’s. North Bay: winners of five straight, that includes victories over Hamilton, Barrie and London.